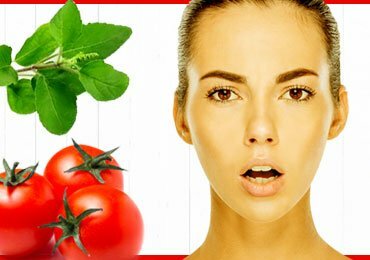 Organic Home Remedies & DIY Beauty Tips! Winter Skin Care – Simple Ways to Keep Your Skin Smooth and Soft ! Winter is not just a cold weather but it is practically cold on everything from our skin to our body. The weather has low humidity which results into dryness and steals all the moisture from the skin every day. So find some Simple Winter Skin Care Ways to Keep Your Skin Smooth and Soft because if you let your skin bear the brunt of this weather you are sure to end up with dry and cracked skin. The harsh winds, indoor heaters, hot showers and harsh cleaners can make the problem worse for you. Applying moisturizing cream can help you temporarily but you need to pay little attention and care to counteract the harsh effects on your skin. But don’t worry you don’t need to visit parlors or spend extra to keep your skin soft and smooth. To reduce redness, chapping and to keep your skin comfortable and healthy we recommend following these simple Winter Skin Care tips in your day to day life. We all love hot baths and showers in winters, but while washing your face and hands specifically choose lukewarm water in order to avoid stripping oil off your skin. Your skin needs instant moisturisation after the bath. Apply your choice of moisturizing cream to wet skin which can help seal the dampness in the skin. Always keep a moisturizing cream near your bathtub to use liberal amount after every wash. Some of the moisturizers available at the local pharmacy can contain petroleum-based components that can further lead to dryness. Be smart and chose a formula with all natural ingredient. Instead of the water-based solution, go for an oil based moisturizer and let your skin retain its softness in the winter. You can also go for natural oils such as chamomile, lavender and jojoba for an itchy and dry skin. During winters make sure you wear scarves and gloves to stay warm and protect yourself from rain, wind and snow. In addition, never leave your home without applying a sunscreen. Winter sun is more damaging than the summer sun. It has been observed that we do not drink enough water during the winter because of hot drinks like hot chocolate and tea. But there is no replacement for water because your skin needs more hydration from inside. You can have little warm water with lemon for a hydrating and refreshing drink. Areas like elbows, hands, knees and feet have thin skin and often lose moisture lot faster than rest of the areas in the body. Apply a deep moisturizing cream and seal the moisture with cotton socks and gloves till morning. Moisture cannot get into our skin if there are dead cells. Find a good exfoliating mask and gently use it on your face, hands and lips followed by immediate application of moisturizing cream on all these areas to seal the moisture. You will see the different instantly. Follow the routine for younger looking skin. If you are suffering from skin issues like psoriasis, eczema and dermatitis avoid allergens. Avoid using material or substances that can irritate your skin. The fabrics such as synthetic wool and chemical detergents often cause imitation to the skin so instead use natural moisturizer and mild cleanser. To hydrate your body inside out, eat food with high water content. Vegetables like tomatoes, celery, zucchini, cucumbers and carrots and fruits such as watermelon, apples, cantaloupe, kiwi and oranges. Make sure you are receiving the good amount of zinc and Vitamin C to support the production of elastin and collagen. Start having an omega-3 supplement to create building blocks of your skin for more smooth and supple look. Cleanser often ends up drying your skin and if you are using salicylic acid, replace it with a more hydrating product. Once you are done cleansing your skin, do not leave your skin naked for long as this can result in dehydrating skin and increased dryness. Apply moisturizer and hydrating tone to seal the moisture. Homemade masks can give much-needed moisture during the winter season. Use natural moisturizing ingredients like avocado, honey, olive oil, yogurt, jojoba oil, banana and aloe vera to make a moisturizing mask. Mix the ingredients to make a cream or paste and apply it on your skin for 10-20 minutes for deep hydration. Use hydrating mask at least once a week for continuous soft and supple skin. We all suffer from chapped lips and scaly cuticles during winter. To keep your lips moisturized dry brush your lips with the toothbrush to exfoliate and then apply ghee or vitamin E oil. For your cuticles, soak your nails in oil for 10minutes daily or 2-3 times a week. People are aware of abundant health benefits of Olive oil and if you have a bottle of this oil available in your pantry, you are alls et for winter. Apply a thin layer of olive oil and make it as your bedtime routine because when you will wake up you are going to have glowing and baby soft skin. This plant is a miracle and used for almost everything from summer sunburn to acne issues. During the harsh months, it is one of the best options for Winter Skin Care to keep your skin soft and smooth. Instead of buying expensive products containing allow, grow an Aloe vera plant in the backyard and make full use of it. There is a reason why water is called the elixir of life on the earth. This may sound boring but water is one of tested and one of the simple ways of Winter Skin Care to keep your skin smooth and soft all winter. Not only just winter, it add the glow to your skin in almost every season. The health benefits are endless so just grab your bottle and bottoms up. Winter give us an excuse to extend our love for tea. For all the tea lover, just know that herbal tea is about 10 times better than the regular ones. Apply a warm tea bag on your face to absorb antioxidants into your skin. You can create a skin lotion using organic honey and milk. Apply it during winter and you won’t believe the results induced by this amazing homemade creation. No, you don’t have to worry about rubbing food on the face. It is important to include vitamin rich fruits and vegetables in your diet. Include papaya, spinach, oranges, carrots and kale in your next month’s grocery list. Walnuts contain loads of omega-3 fatty acids and prevent skin from looking scaly and dry. Add few walnuts to your regular diet for healthy skin all winter long. More specifically coffee grounds. Don’t throw them away because the handful of grounds can make an exceptional exfoliator. Coffee grounds not only slough away the dead skin but also add caffeine boost and perfect for looking fresh and awake. Say TADA to dry skin and acne with steam facial every week. All you need to do is bring the water in a pot to boil and remove from the burner. Cover your head with the towel to create a tent like situation and lean over for 10 minutes. Steam open pores and also enhances circulation and remove the toxins. We guarantee you that you will feel rejuvenated after this winter skin care process. Are you looking for an alternative to those expensive spa treatments? Don’t look any further than your fruit bowl. Lemons, bananas, and oranges are perfect. Rub the inner part on your face and rinse after 15 minutes. It’s as easy as a blink of your eyes. Your skin to absorb the important components of the fruits. This one is very tricky but definitely not impossible. Sugar finishes the elasticity of our skin so avoid refined carbs, white rice, and white bread. These products contain glycation that can increase the aging and acne formation. We are not going ask you to run the marathon to keep active. Walk to nearby park, some squats while watching TV, stretching in the middle of work is all that we ask. When we move our blood flow increase and more flow leads to healthier skin and also the healthier body. Sometimes dryness and dull looking skin are attributed to season change, PMS routines and lack of water but sometimes stress is the devil in disguise. It aggravates itchy skin, dry scalp with the increase in symptoms of imbalance. To control these aggravated situations, practice yoga, tai chi, and meditation. Studied has reported that when you start relaxation regime, meditation has helped psoriasis clear at much faster rate meditation. Studied has reported that when you start relaxation regime, meditation has helped psoriasis clear at much faster rate. Drink almost nine glasses of hydrating liquids every day including water. Don’t count soda, coffee, and tea because caffeinated drinks are more diuretic and can trigger the body to eliminate water content. Include soups and avoid salty, crunchy and fat foods. Make sure you are taking enough omega 6 and omega 3 fatty acids in your diet. These fatty acids are found in walnut oils, borage oil, primrose oil and black currant. Another important ingredient is Vitamin E for improving skin and hair texture. Avoid using too hot water for bath and saunas. Instead use lukewarm water for short period. While bathing, add drops of essential oil to keep your skin moisturized. Lubricate your skin with cocoa butter, essential oil after bathing. Exfoliate dry skin with a gentle scrub almost 2-3 times a week. During winter, use a humidifier to improve the moisture inside your office and home. Always check the labels of your skincare and avoid toners containing alcohol. Instead, opt for less drying astringent. Layers of clothing also affect skin’s health in winter. Let your skin breath in cotton and woolen. Avoid stepping in strong sun and also in extremely windy weather. If you have to cover yourself well. Take Vitamin A, E, and C-rich food to enhance the quality of your skin. Massage your skin with olive oil or coconut oil for soft skin. Just because the sun is not as bright as it is during summer, you can skip the SPF. It is important to use sunscreen no matter what place and what climate it is. Follow a daily skin care routine with exfoliating, toning and moisturizing. Don’t use a lot of soap as they contain chemical ingredients and cause dryness. Use only natural or oil based soap with plain water. Cater your skin as per the skin type. 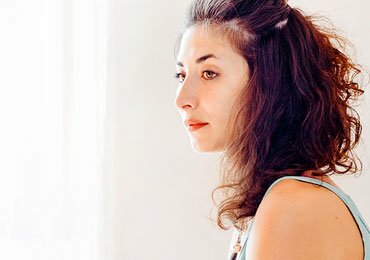 Follow different routines for dry, oily and normal skin types. Start a healthy lifestyle with exercise, yoga, and meditation to improve blood circulation and overall health. Remove all the makeup before going to bed at night. Use a baby oil or a good oil based makeup remover. Don’t forget your feet. Apply any moisturizing cream and wear socks before sleeping for soft feet. There are no miracles or extra work that is needed to get the soft and glowing skin. Follow a basic routine with a balanced diet and add a little movement to your overall lifestyle to achieve a healthy skin in winter. These winter skin care ways to keep your skin smooth and softer save a lot of money and also add value to your life. 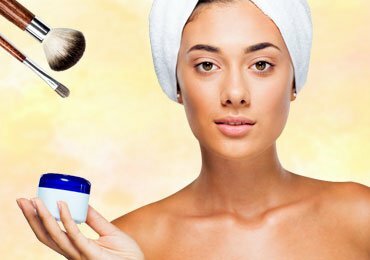 Exercising, meditation and using natural products not only protect your skin for the winter but they manage your lifestyle in such a manner that your skin will keep glowing for years to come. Winter Skin Care Tips for Soft & Glowing Skin! 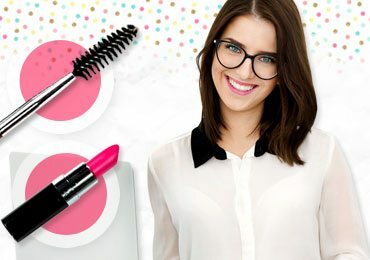 Beauty Essentials For Working & Busy Girls! 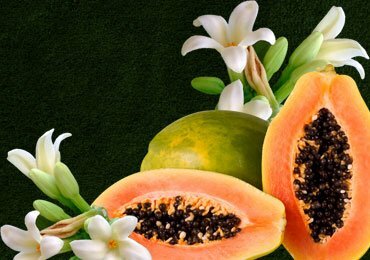 Amazing Health Benefits Of Papaya Flower! Skin Care Tips : Skincare Resolutions You Should Make In 2019! 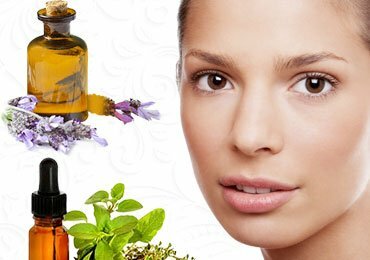 Get That Amazing Glow With These Facial Oil Recipes! 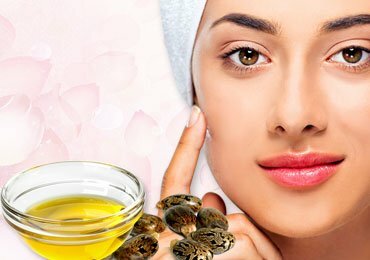 Use Castor Oil for Acne and See the Result Overnight! 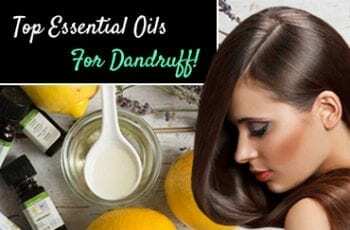 Top Essential Oils For Dandruff! Amazing Home Remedies To Cure Jaundice! Causes And Home Remedies For Delayed Menstruation! 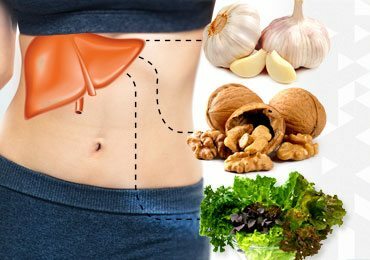 Food for Liver Care : 10 Best Foods For a Clean and Healthy Liver! I am an avid follower of DIY home remedies and advocate of natural lifestyle. StylEnrich.com does not give any medical advice. All the content published in our site is strictly for informational purpose. We strongly recommend that you consult your medical adviser before trying any home remedy or tips given in our website.